A full preview of the Memorial Tournament at Muirfield Village Golf Club, including tee times, odds and picks. 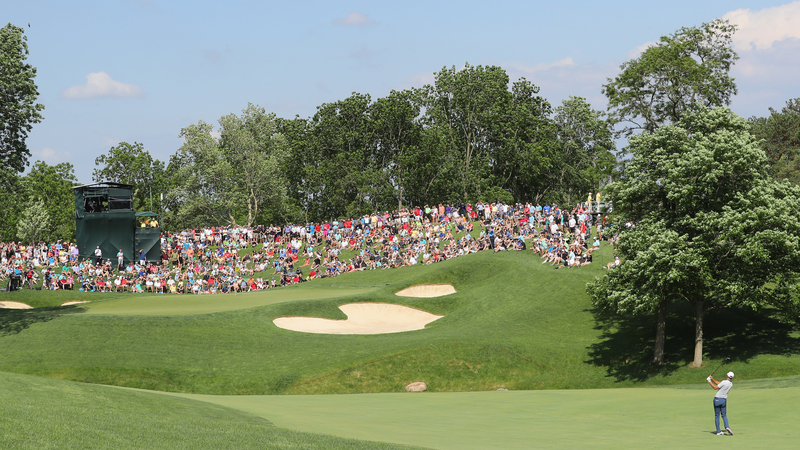 After a brief sojourn in Texas for the Byron Nelson and the Fort Worth Invitational, the PGA Tour is off to Ohio this week for one of the signature tournaments of the year: the Memorial. 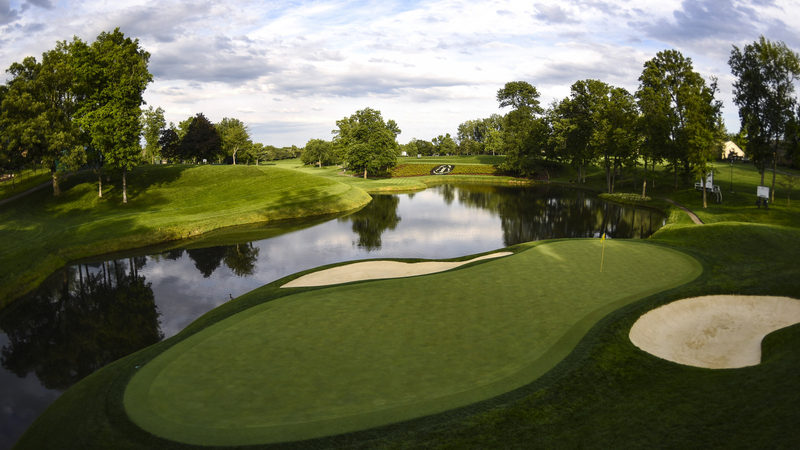 It's hosted by Jack Nicklaus and played at Muirfield Village Golf Club, a course Jack himself designed, and welcomes one of the best non-major fields of the entire season. As is always the case when he's playing, Tiger Woods will draw a lion's share of media attention this week, as he has a rich history at this tournament. Woods has won the event a record five times and has three other top-5 finishes at Muirfield; the course is on the Mt. Rushmore of Courses Tiger Dominates alongside Torrey Pines, Bay Hill and Firestone. But Woods, who will play the first two rounds alongside noted chiller/defending champion Jason Dufner, is far from the only attraction this week—eight of the world's top 10 players are teeing it up, as well as 13 of the top 20. We're also somehow just two weeks away from the U.S. Open, so it's time to start paying close attention as to who's rounding into form as Shinnecock Hills looms ever closer. Here's everything you need to know ahead of Thursday's first tee shot. Muirfield Village Golf Club is named after Scotland's Muirfield Golf Links, where Nicklaus won the first of three British Opens all the way back in 1966. Designed by Nicklaus and opened in 1974, Ohio's Muirfield one of the very best golf courses in the United States—it checks in at No. 29 on Golf.com's most recent ranking of the top 100 courses in America—so it's no surprise that it's one of the players' favorites on the Tour schedule. 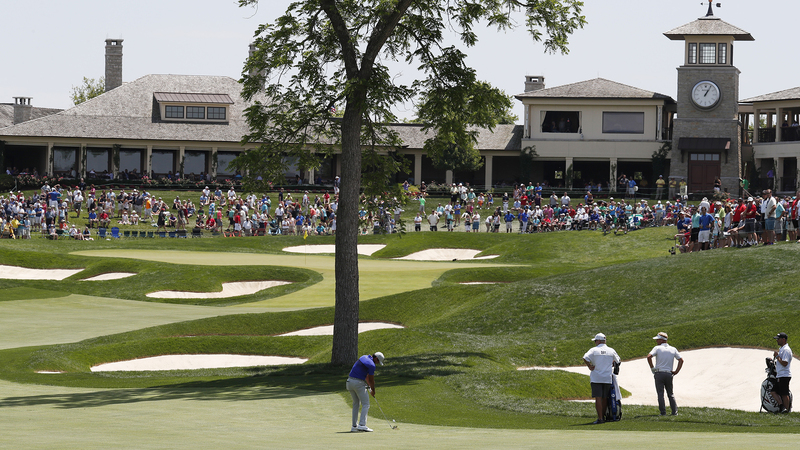 PGA Tour professionals ranked the course their sixth favorite of those that host a yearly tournament, citing its "major feel" and calling it "the best-conditioned course on Tour every year." You're going to hear that "major feel" phrase a lot this week, because Muirfield requires the type of precise ball striking that majors demand. The course is to this day overseen by Nicklaus, and he's been active in making the course better-equipped to provide a challenge for the modern long hitter. He's added length to multiple holes—most notably adding 40 yards to the already-difficult 18th in 2013—as well as bunkers, rough and re-routing a stream. It's still not one of the longer tracks on Tour, measuring just under 7,400 yards as a par 72, but it's a fair test that the players enjoy. Don't be surprised if Muirfield gets a PGA or a Ryder/Presidents Cup in the near future. Here's the 184-yard, par-3 12th, which forces players to hit a mid iron into a narrow green. The par-5 15th has three separate landing areas—one for the tee shot, approach and green—but the majority of players will givethe 529-yard hole a go in two. 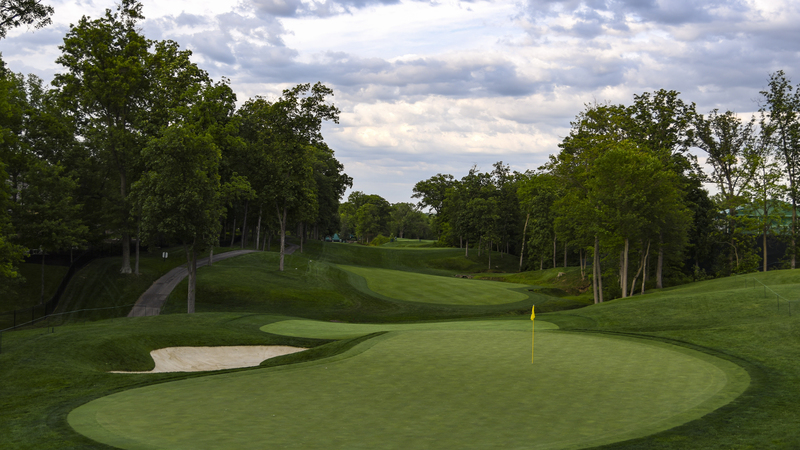 The par-4 17th features an elevated green, forcing a semi-blind approach shot. Drives down the right side of 18 will have to deal with a big tree just left of the fairway bunkers. The Texas events didn't draw the deepest fields—players like to sit out the Nelson after the Players, and the Fort Worth Invitational competed with the European Tour's flagship BMW PGA Championship—but the Memorial tends to attract most of the world's best, and this year is no different. As mentioned prevoiusly, eight of the world's top-10 players are in the field this week: No. 1 Justin Thomas, No. 2 Dustin Johnson, No. 3 Justin Rose (who won last week at Colonial), No. 5 Jordan Spieth, No. 6 Rory McIlroy, No. 7 Rickie Fowler, No. 8 Jason Day and No. 10 Hideki Matsuyama. Tiger is also playing, as is Phil Mickelson, Masters champion Patrick Reed, Bubba Watson, Aaron Wise and Matt Kuchar, to name just a few. Reigning U.S. Amateur champion Doc Redman turned professional, forfeiting his exemptions into the U.S. Open and British Open in the process, and received a sponsor's evention this week. He'll make his professional debut Thursday. Other young guns competing: Joaquin Niemann, Sam Burns and Cameron Davis. Lucas Glover will also make his first start since his public spat with his wife at the Players went viral. In total, there are 21 major champions in the field. A good testament to the strength of the field this week: the winner gets 70 world ranking points, behind only the World Golf Championships (72-74 points to the winner), the Players (80) and the majors (100). Justin Rose, Jason Dufner, Tiger Woods - 8:26 a.m.*/1:16 p.m.
Marc Leishman, Matt Kuchar, Louis Oosthuizen - 8:37 a.m.*/1:27 p.m.
* denotes teeing off the 10th hole. Dufner is the defending champ this week, as his 13-under total was good enough for a three-shot win over Rickie Fowler and Anirban Lahiri. Woods has won the event five times, most recently in 2012, when he holed one of the all time gutsy-est flop shots en route to victory. 2016 and 2015 saw surprise winners triumph at Muirfield, as William McGirt and David Lingmerth both picked up their lone PGA Tour victories of their respective careers at the Memorial. Hidkei Matsuyama won the first PGA Tour title of his career (unlike McGirt and Lingmerth, he has added to that title) as a 22-year-old in 2014, and Matt Kuchar won in 2013. Other notable winners of this event throughout the years: Justin Rose (2010), Steve Stricker (2011), Fred Couples (1998), Greg Norman (1995, 1990), Jack Nicklaus (1977, 1984), Tom Watson (1979, 1996). The average winning score over the past five tournaments is 13.6-under par. Rory McIlroy +1400 - Surrendered three-lead last week in Europe...mental fatigue? I'm picking Tiger Woods. Wow. It feels wild to type that in 2018, after four back surgeries, a DUI, a gnarly case of the chipping yips and everything else this guy has been through. But I've seen enough from Tiger in this most recent comeback to honestly believe that he can win again on Tour, and what better place than at Muirfield? He absolutely loves this golf course, his game is in good shape—his weekend performance at the Players was vintage, vintage TW—and he's rested, having taken two weeks off after TPC Sawgrass. Tiger picks up PGA Tour win number 80 and delivers one of the best redemption stories in sports history.